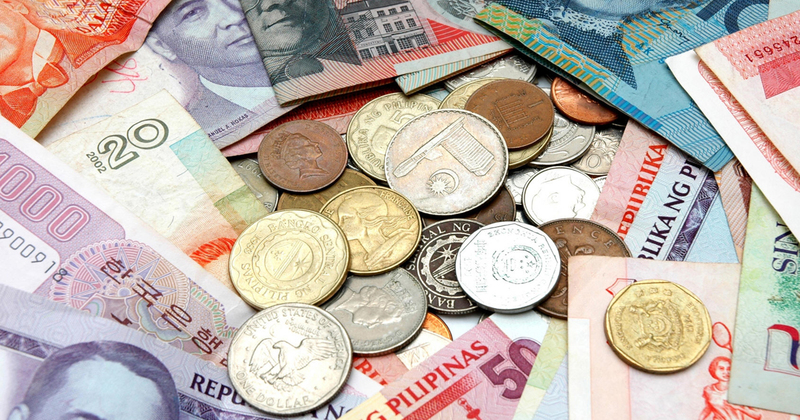 Your Foreign Loose Change Can Now Find A Home In Someone Else's Wallet! The holiday season is coming. You have changed the desired amount of currency to shop with and are excited at the prospect of splurging at your dream destination. However, one thing that you are not looking forward to is all the coins you are bound to be stuck with as you board your flight home at the airport. Personally though, during my travels, I have a knack for finding ways to spend all my coins so I rarely have this problem. Most people however are not as lucky. 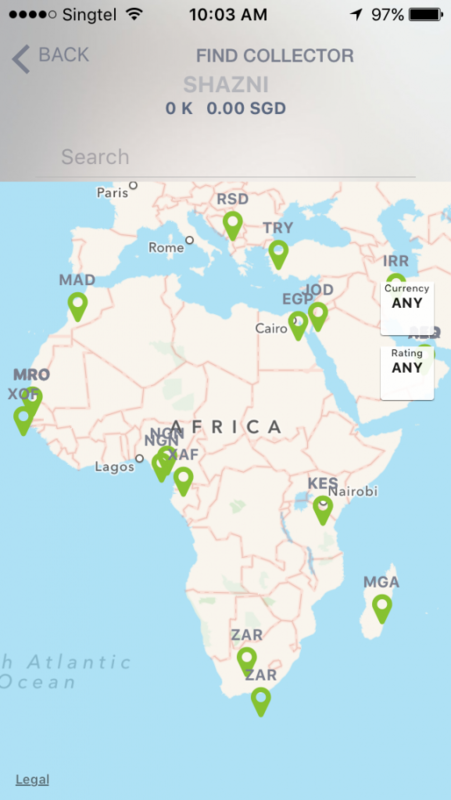 WorldKoins is the app that you will want in your smartphone the next time you get on a plane for a well deserved vacation. 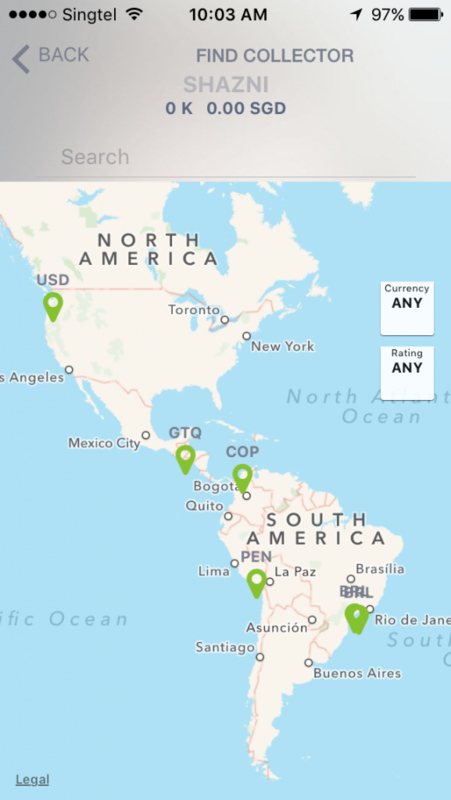 Launched earlier this year in March for Android, and later at the end of April for iOS, the aim of WorldKoins is simple – just drop your coins with any local ‘collector’ in the country that you are visiting. Or if you are already back home, find a fellow countryman who will be going to the place you’ve just left. The ‘collectors’ use an accompanying app called DropKoins where after doing a verification via the app, they will transfer the amount that was deposited with them back to the travelers’ account of choice – be it Paypal or any of the supported credit cards. There will be a small commission that will be charged to the travelers, which will be shared between the collectors and WorldKoin. Founder, Ali Zekeria, wants the process to be simple, yet secure. All you need to know are these three steps. First, download the app and create an account. Second, locate a nearby Dropkoins collector. Lastly, after handing over the physical coins both you and the collector will verify the transaction through your respective apps. If feel that the minuscule amount that you have in your WorldKoins purse doesn’t warrant a transfer into your Paypal account, there are ways to spend it within the app as well. 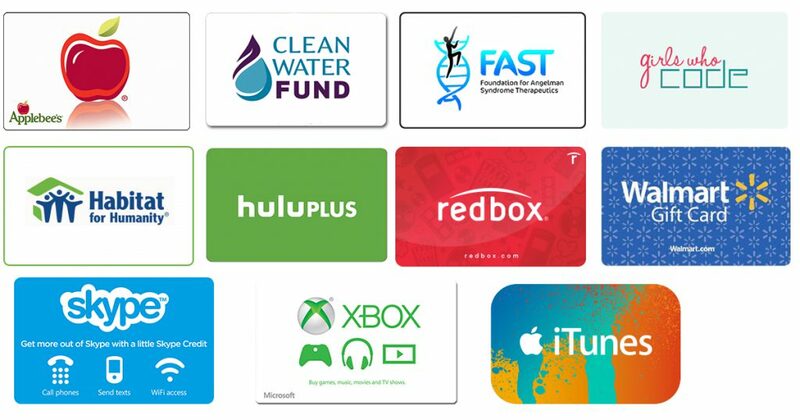 Choose gift cards from a variety of popular online retailers available, or if you are feeling charitable, donate your money to any of the organizations listed within the app. Which Countries Currently Have DropKoins Collectors? DropKoins founder, Ali Zekeria, told TechInAsia that currently the app has a “few hundred” monthly active users. Not a bad figure, meaning that there must be quite a number of collectors worldwide right? I downloaded the app to find out where these Dropkoins collectors reside. Maybe then will it convince you to try this app out. 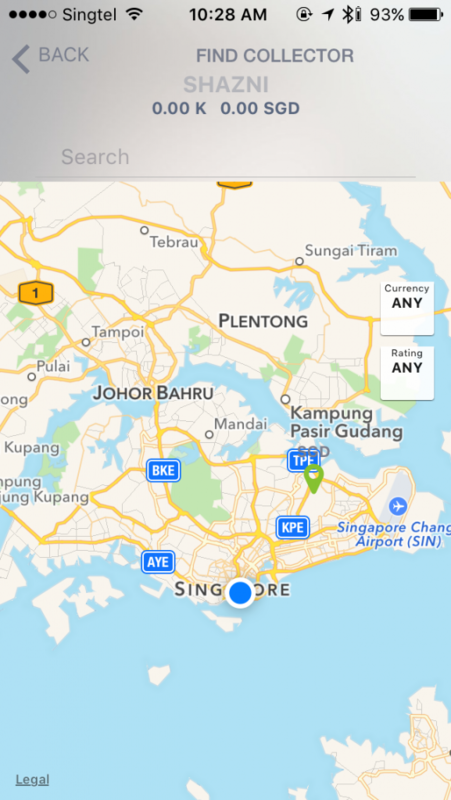 We begin here in Singapore before expanding the world map to elsewhere. Unfortunately, travellers to Singapore will only have a single person to turn to when dropping off their loose change. He lives in Punggol, if you must know. The situation is slightly better over in Malaysia, with more active users. It makes sense considering the app originated here. Even though the majority of collectors are situated within Kuala Lumpur, they are quite well spread out. And by majority, we really meant all except for two lonely souls. One situated in Bandar Machang, Kelantan, while the other person is in Kuching. Next, we’ll zoom out to the entire Southeast Asia. As you can see, major destinations within Southeast Asia are quite well represented. Starting down south in Indonesia, as expected, Jakarta has the highest number of collectors, with Yogyakarta being a close second. Heading to Bali? There’s someone there too. More users are clustered in Bangkok and Manila, the capitals of Thailand and Philippines. Vietnam also has users Hanoi and one elsewhere. 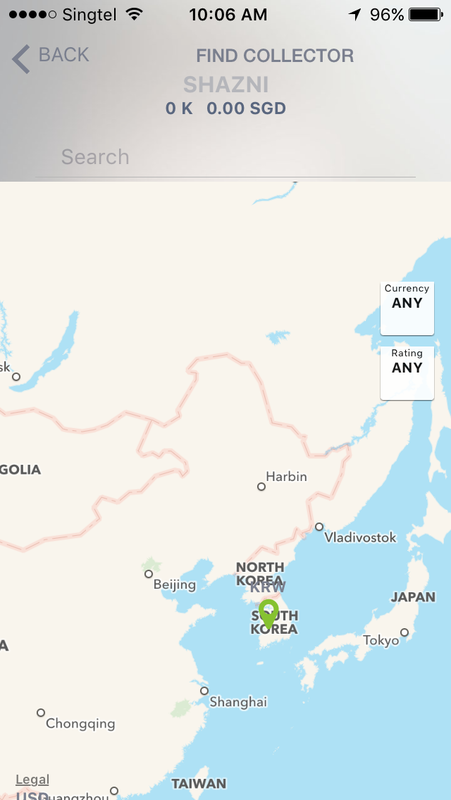 Visitors to East Asia will be disappointed to find out that the app hasn’t really taken off there. Except for one person in Seoul, South Korea that you can approach to deposit your Korean Won, there are no options in the other neighbouring countries. Frequent flyers to the Indian subcontinent will be glad to know that collectors are aplenty there. 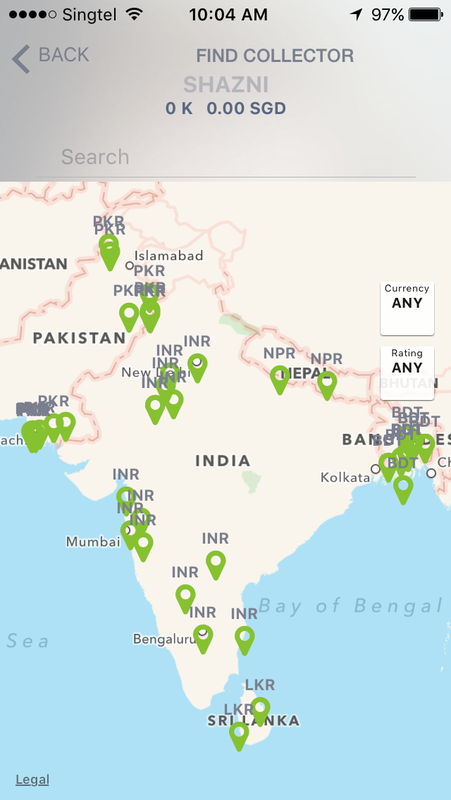 Bangladesh, India, Sri Lanka, and Pakistan all have collectors at their capital cities as well as other major cities. Nepal too has two collectors, and one of them is in Kathmandu. In the Arabian peninsula, you will only have an easier time finding collectors in Dubai, United Arab Emirates. 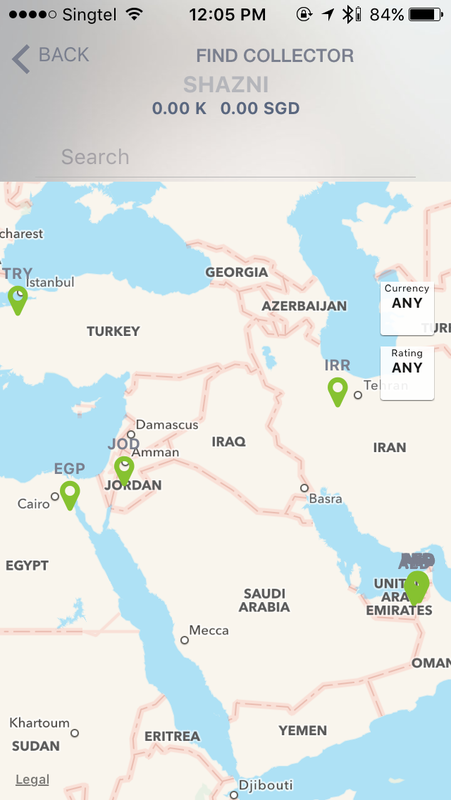 The other countries with a collector each just outside their capital cities are, Egypt, Jordan, Iran, and Turkey. Here are the countries with a collector each in the country, Morocco, Mauritania, Senegal, Cameroon, Madagascar, and Kenya. Nigeria and South Africa both have two collectors each. As with all countries mentioned before, they are found near the capitals. Unfortunately you are out of luck if you have been planning the typical European holiday to Paris and the likes. You are limited to just three people in the three countries. 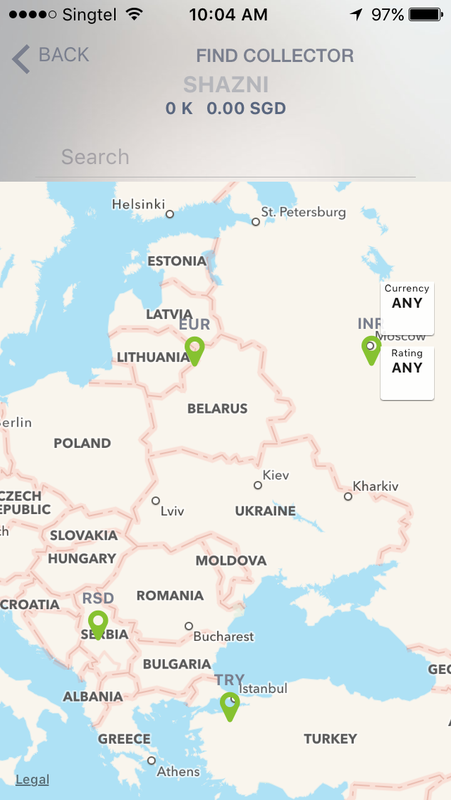 They live in Belgrade in Serbia, Daugavpils in Latvia, and Moscow in Russia. We cross the Atlantic Ocean now, starting with the west coast of the United States of America. There lives the sole collector in the country in Seattle, Washington. Moving down to Central America, there is only Guatemala with one collector. Finally to South America. Keep a lookout, if you are heading to these three countries. Brazil has the most out of the three, and all of them are around São Paulo. Colombia has a 5-star rated collector right in the heart of Bogota. The last country is Peru. The collector though is quite a distance from the capital Lima in Jirón Cusco. There is great potential in the app solving a very common problem, and I do hope that more collectors will come on board.